Former model pool home in Waterlefe is available fully furnished and has a water and golf course view that is sure to impress. 3 BR/3 BA, Bonus room (could be 4th BR, large open Great Room, formal DR, Front Parlor (or Den), fabulous Kitchen with wood cabinets, under cabinet lighting, crown molding and Stystle counter tops, custom window treatments, fabulous pavered pool & spa, 3 car garage and pavered motor court, panoramic golf course and water views, emergency generator and central vacuum. EXCEPTIONAL PROPERTY. Waterlefe is great place to call home. 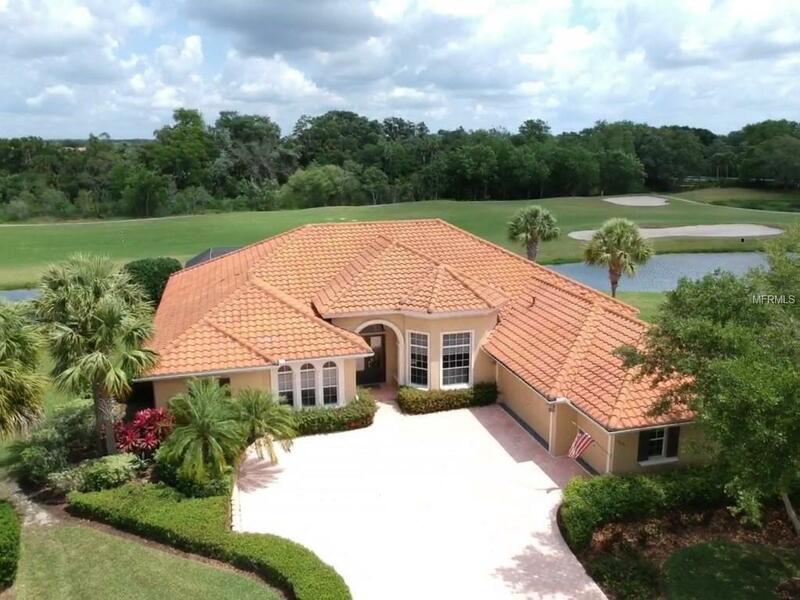 A unique gated, boating, and championship golf course located on the Manatee River. Reasonable HOA fees give full access to 24 hour gym, cable and internet included, 24 hour manned gated entry, kayak launch, and more. Golf membership is optional and not required. Make sure to check out the video tour, and set up to see this home soon.